Cosco Tincture of Green Soap is a natural soap made from pure vegetable oils, lavender oil and glycerin. 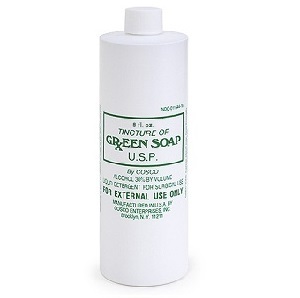 Hospital grade cleaner, green soap is completely biodegradable and environmentally safe. Traditionally used for skin preparation for both Tattoo and Piercing and cleaning instruments and apparatus before sterilization. Use Green soap before, during & after the tattoo process to cleanse and disinfect area being tattooed. Also used as Stencil Applying agent.